Inserts links to your VirtueMart pages, categories and products directly from JCE. 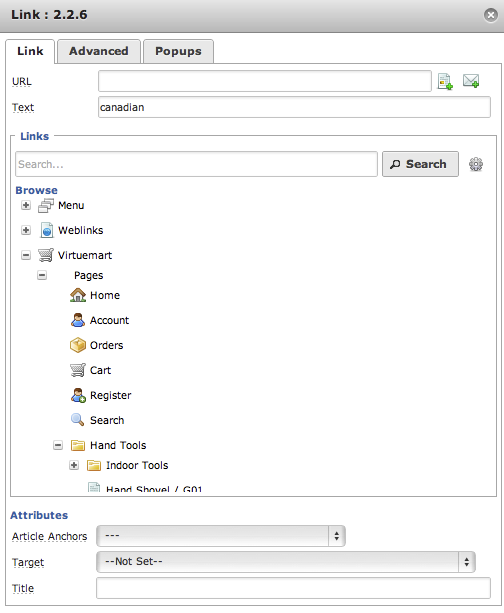 This JCE Plugin will help you inserting links to your Virtuemart pages, categories and products directly from your editor. Works with Joomla Content Editor version and above.